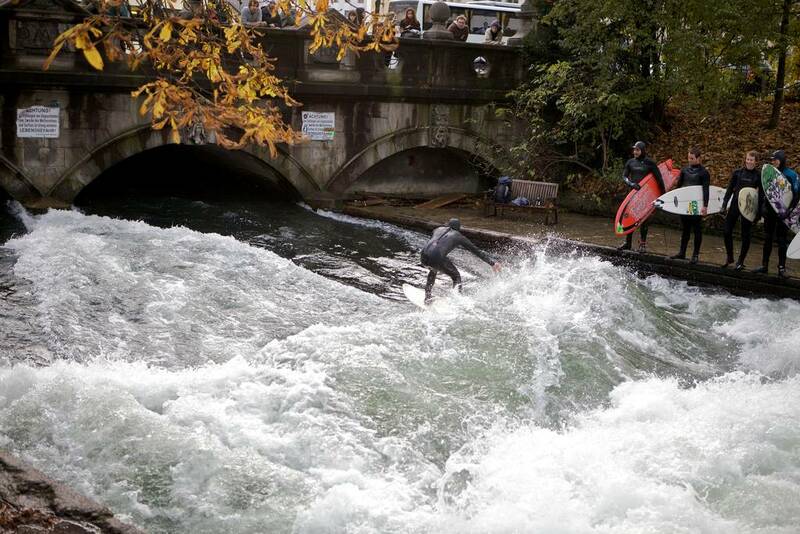 Despite being many hundreds of kilometers from the nearest ocean, Munich is something of a surfing hotspot. 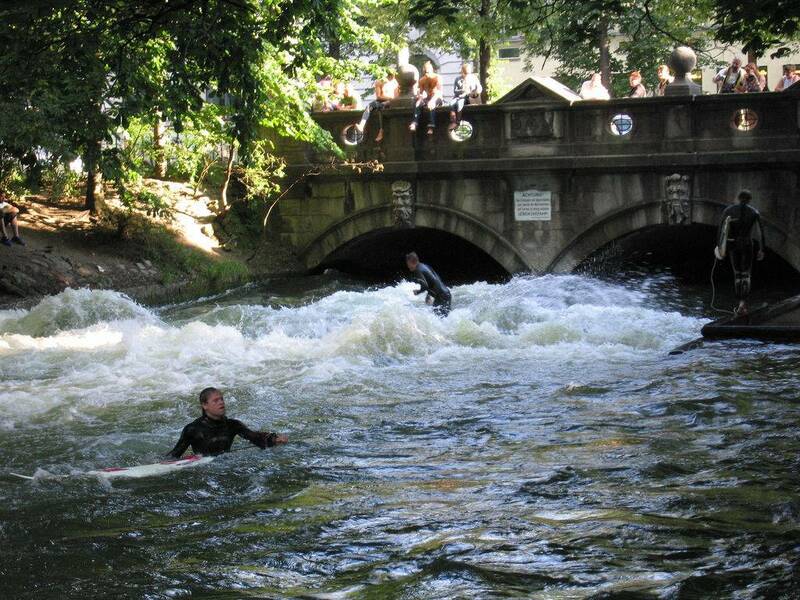 The Eisbach is a small man made river which is situated in the city’s English Gardens. 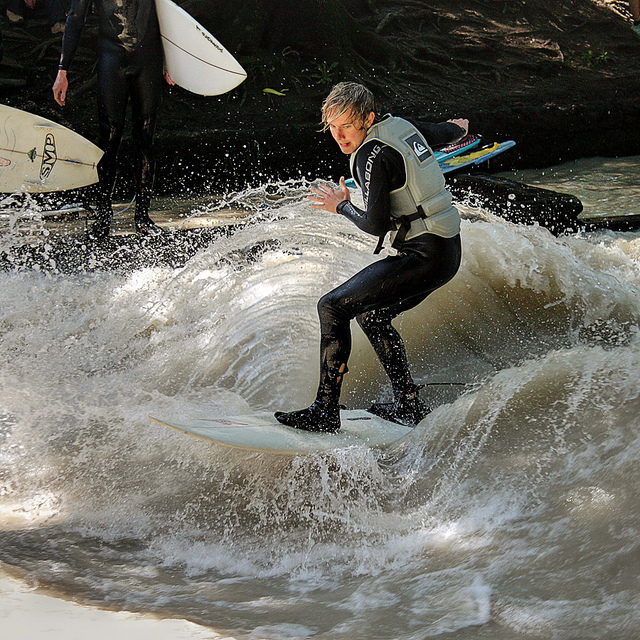 It has been used by surfers since the early 1970s to practice their sport, despite a number of attempts to have the ice brook dismantled. 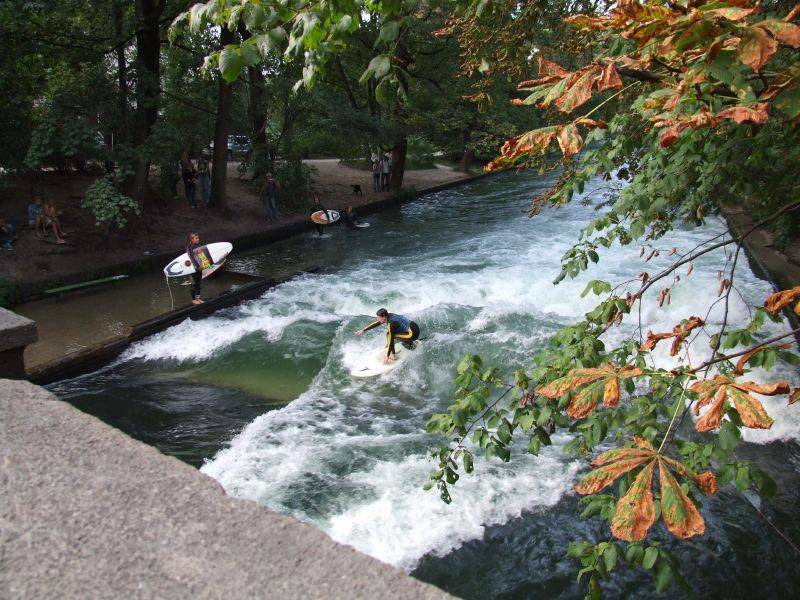 At one end of the Eisbach the short river forms a standing (otherwise known as a stationary) wave which, as its name suggests, remains in a constant position. 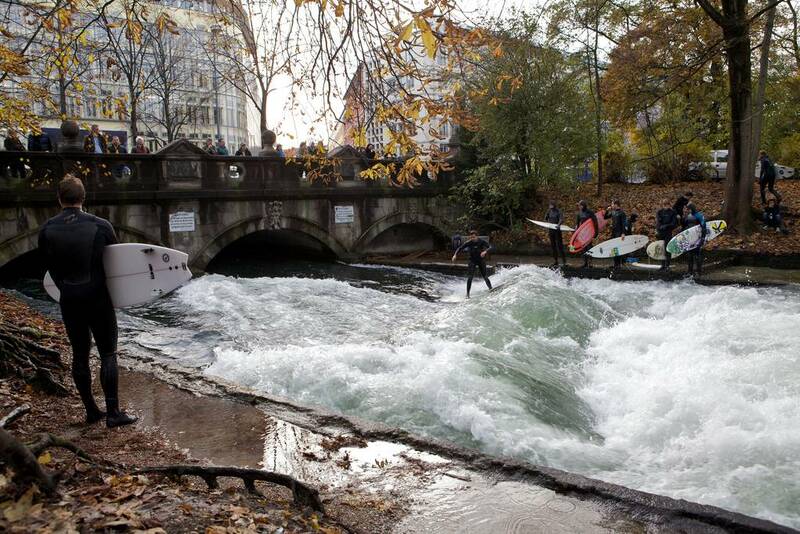 The wave is usually about a meter in height and 12 meters wide. 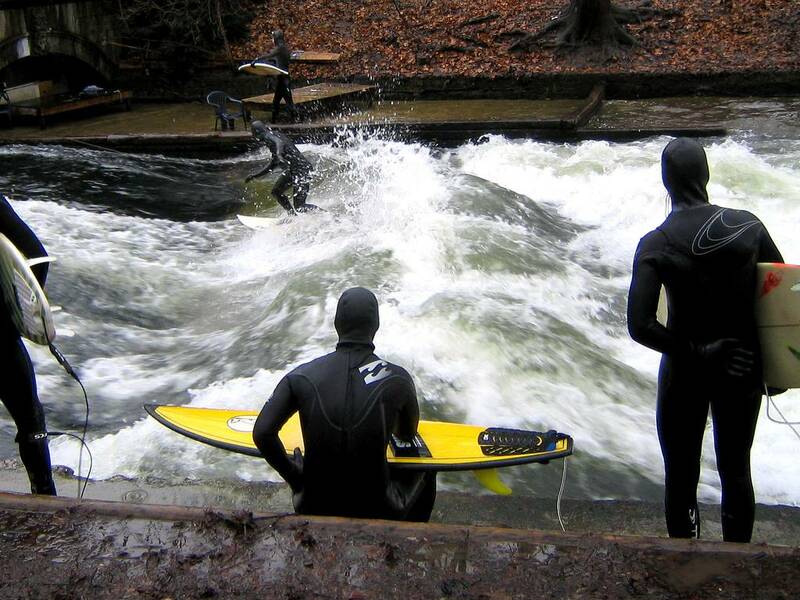 The flow velocity is approximately five meters per second so this is not for the faint-hearted or the inexperienced. 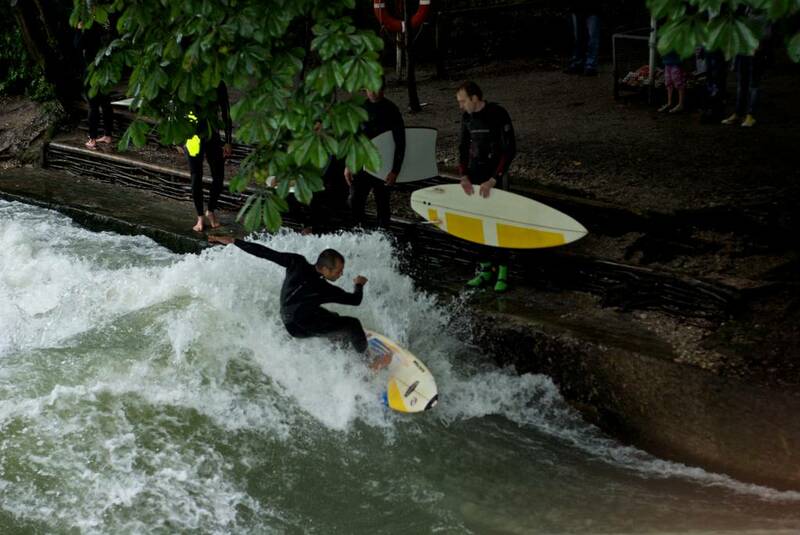 The wave was, at first, unstable to say the least and could even disappear for months. 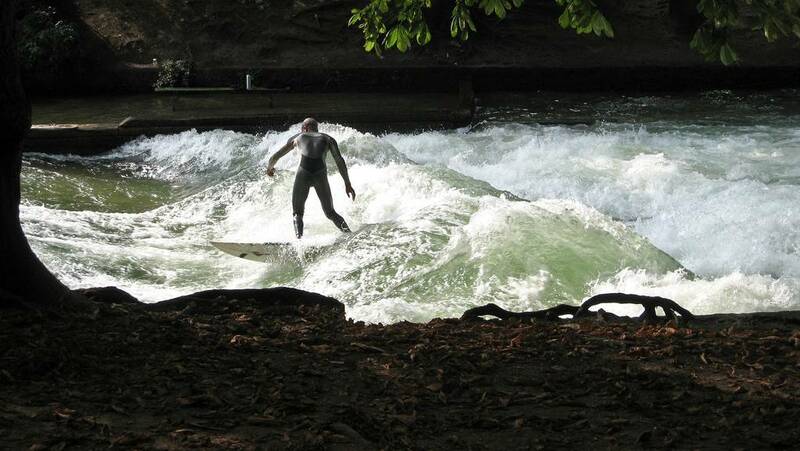 However, local surfers discovered that if they hung planks of water from the nearby bridge it could, with time and effort, stabilize the wave and even shape it. 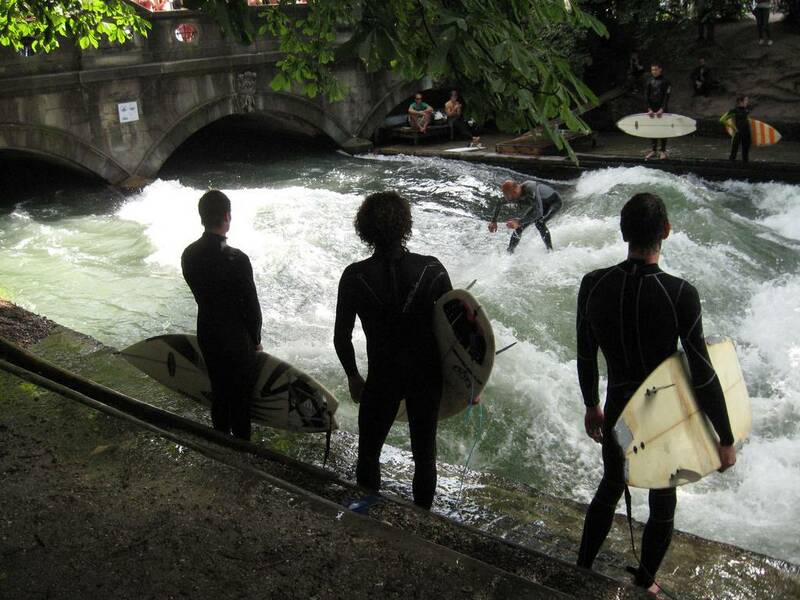 This practice first started around a decade ago and has massively increased the popularity of the Eisbach as a surfing destination as the waves are now consistent all year round. 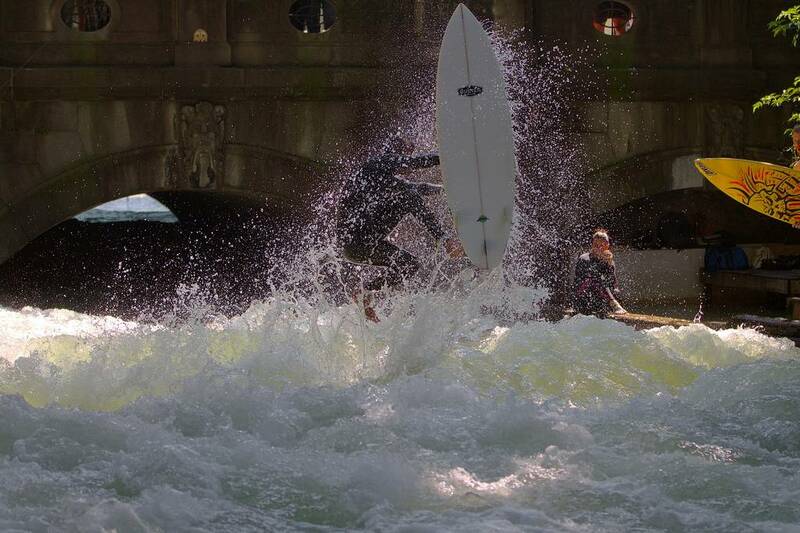 However, the wave is not without its detractors. 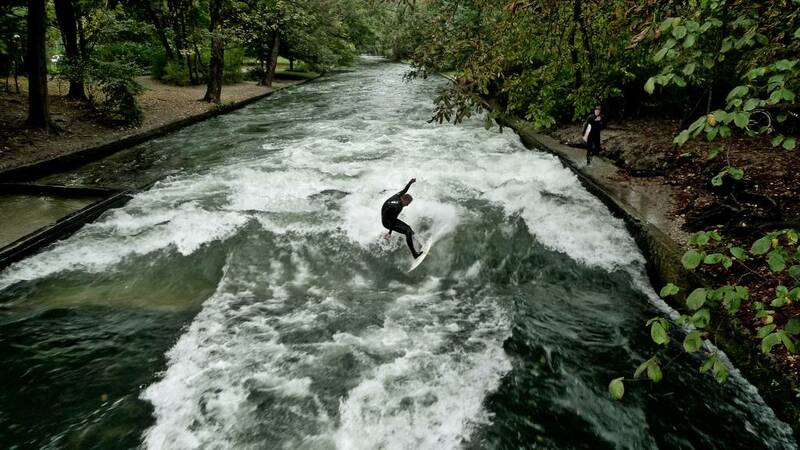 Several people drown each year in the Eisbach and this usually prompts calls for the entire man made river to be filled in. 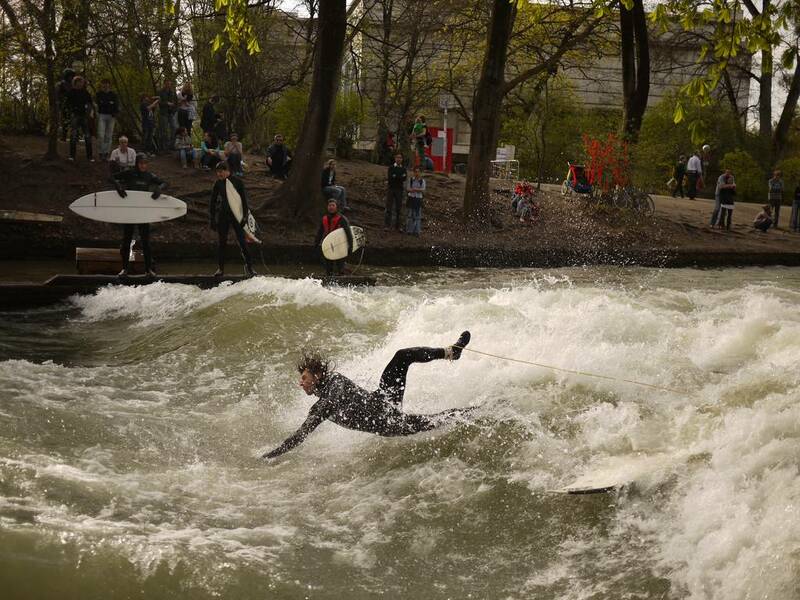 However, there has never been a surfing related death at the Eisbach: those unfortunate enough to drown have always done so ‘up river’ where the currents (not caused by the wave) are incredibly treacherous. Of course, that does not mean that the wave is not without its dangers and that is why beginners are advised strongly not to attempt the wave. It is caused by flow-braking rocks at the river’s bed and although they are invisible to the naked eye, an uncontrolled fall can be a precursor of imminent and life threatening injury. 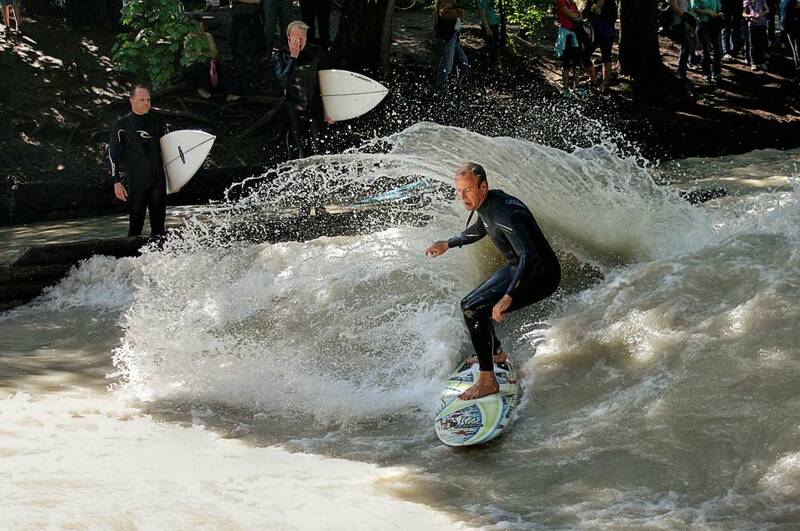 Experienced surfers usually request novices to go injure themselves elsewhere. 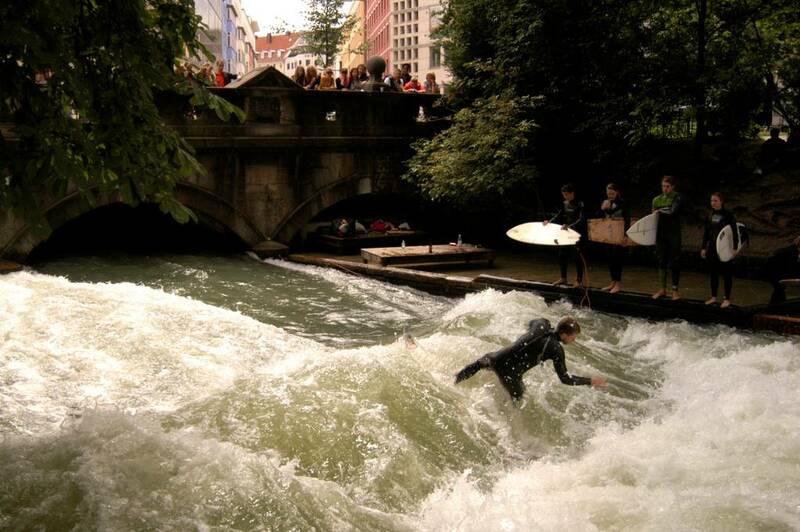 Night surfing is something of a temptation which has its own dangers. Some surfers, once the sun goes down, are it seems inclined to partake of intoxicating substances both legal and otherwise. 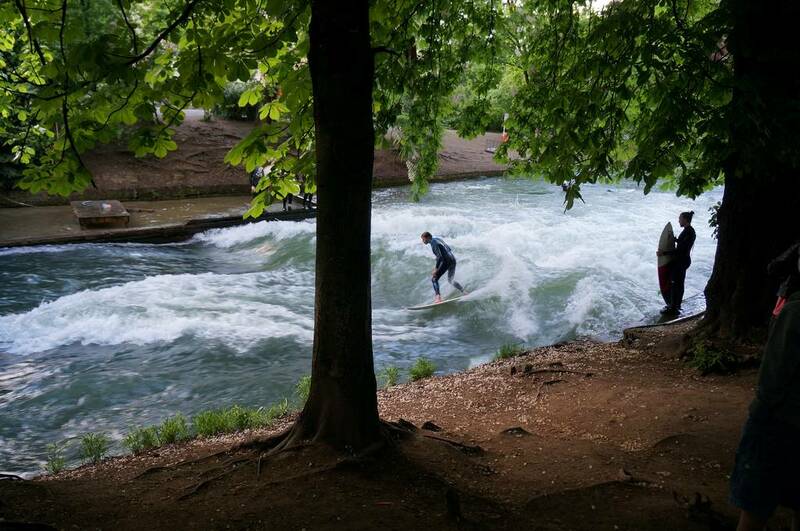 This has led to a few incidents when befuddled and woozy surfers have had to be retrieved from where they end up down river. 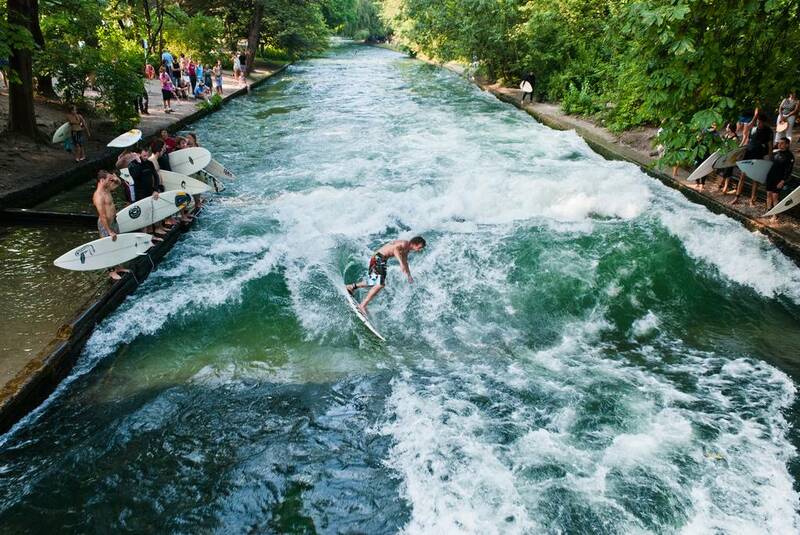 One proposal is that the wave has a grill placed over it after dark to discourage people who an eleven o’clock in a bar eureka moment that a moonlit surf would be a great idea from pursuing their desire. 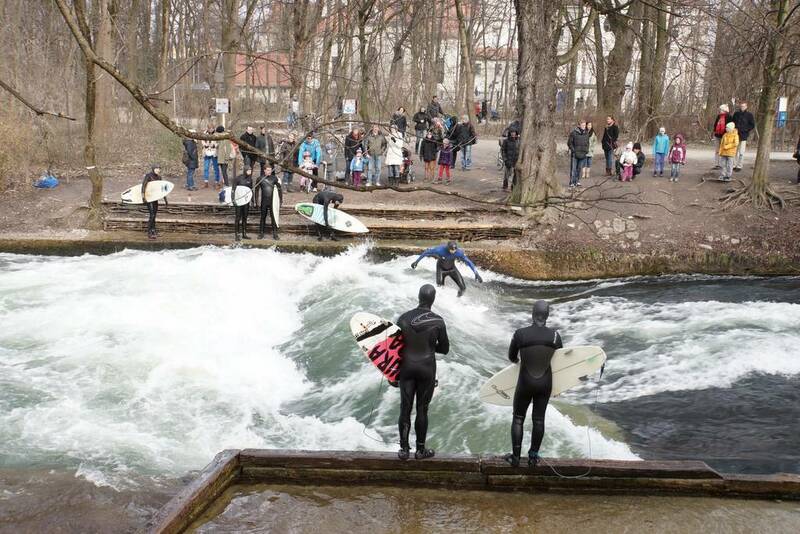 Yet surfing at the Eisbach remains a popular activity and the people watching the surfers from the bridge are often spellbound by the sight below them and will cheer on the performances. 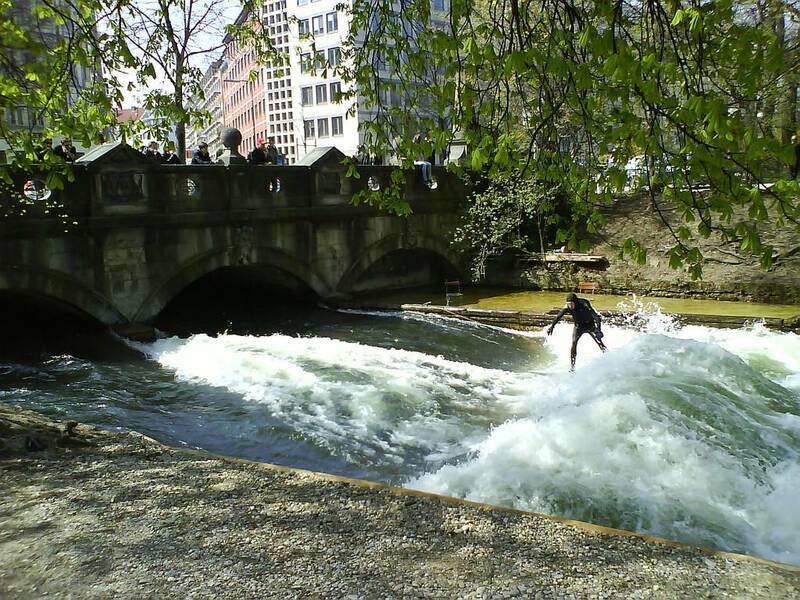 As Munich is, after all, hundreds of kilometers from the sea, it would be a shame to see these urban adventures end.